Aquaculture is the fastest growing primary industry worldwide, unfortunately, it is a relatively new industry in Australia, only really developing over the last 30 years. Unlike the traditional agricultural industries like wheat, sheep or chicken farming, there is not a large amount of accurate information available to new entrants to the aquaculture industry. Furthermore, the industry is constantly developing, so much of the information that is available is well out of date. 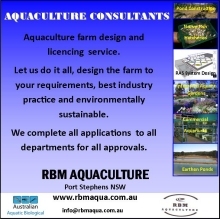 RBM Aquaculture is part of the Australian Aquatic Biological Group of companies and offers the latest information to both existing and new entrants to the aquaculture industry. We keep our fingers on the pulse of the industry and use our knowledge to assist you in all your aquaculture endeavours. Land Based Earthen Pond Design & Licencing Service. To conduct land based aquaculture in earthen ponds you must apply for approval to construct your aquaculture facilities and receive approval before you can start construction. To receive an approval you need to convince the local council and all government departments that your development is not going to have an impact on the environment. Your farm needs to be designed to best industry practice, be commercially viable and environmentally sustainable, this can be a very difficult task if you do not know the answers to all the problems which may occur and what is the preferred remedy. Additionally, you will need to demonstrate that you will be able to culture the species you have applied for in a knowledgeable, safe and commercially viable method. Also, that you are aware of all the pitfalls that may occur in the future and that you have designed your farm so that they will not occur or if they do, that you can easily correct them and not impact on the industry, the environment, the community or the wellbeing of your culture species. A standard farm design and application requires a mass of information generally beyond the knowledge base of the average individual. Even if you do have the knowledge or prepared to learn, the time required for the average person to battle the paperwork usually makes it cheaper to hire a consultant and let them have the hassles for you. We have been doing this for over 20 years and take a very professional attitude to the development and dealing with government departments that progress at their speed. Even a relatively small development in eastern Australia will need 100 – 200 pages of information to be submitted and take at least 3 – 6 months to receive approval. We have been designing farms and systems and working with the industry constantly to develop the best designs. 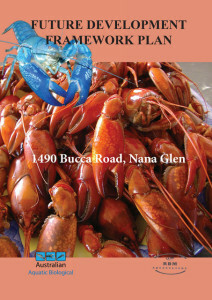 If you need a yabby, redclaw, marron, silver perch, murray cod, trout, prawn or abalone farm, etc. contact us for a quotation for our assistance. 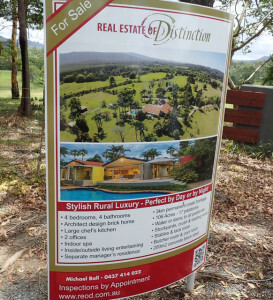 Please note: All applications in Queensland attract a standard $1200 surcharge due to the lack of an official Dept. of Agriculture & Fisheries aquaculture officer to assist with aquaculture applications. All other states & territories (NT, WA, SA, Vic, NSW, ACT, Tas, etc.) are surcharge free except: Any application in Cessnock City Council, Local Government area, NSW. Due to a long costly previous history with (in my expert opinion) far less than helpful council, a standard surcharge of $6,500 now applies for to all applications in this LGA, (Used to cover Cessnock City Council nonsense). 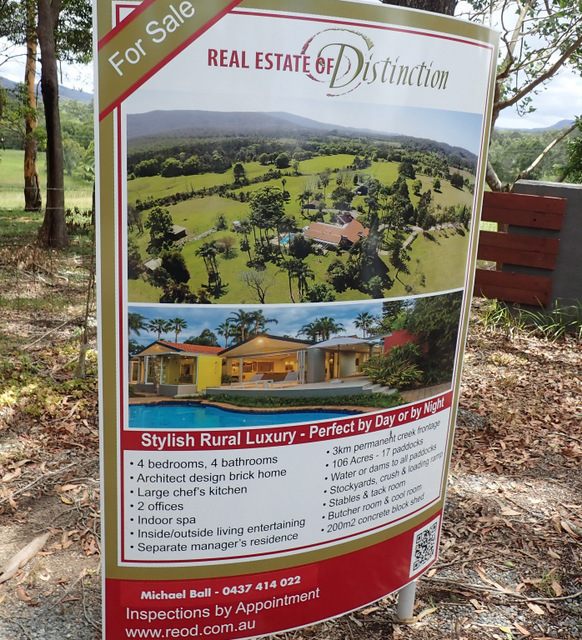 Pre Purchase Property Inspections. A large proportion of our work is property pre-purchase inspections. When purchasing a property for the specific purpose of conducting aquaculture, then it’s essential to ascertain the suitability of that property for aquaculture. We can conduct a site inspection and provide preliminary advice to you on the suitability of that property for the species you intend to culture and the farming method you intend to utilize. Typically, we may inspect several properties on the same day and provide advice on the suitability of them all. It is extremely difficult to find a suitable property that ticks all the boxes but the bottom line is, the more suitable the property the more successful your aquaculture facility will be and the less money required to construct it. Alternatively, if purchasing an existing aquaculture facility we can provide information on the production potential of the existing facilities or possibly identify any production and design faults or other areas of concern that you should know prior to purchase. Fees for inspecting a couple of properties start at $600 and have the potential to save you tens if not hundreds of thousands of dollars. If you need our services please contact us. Expert Witness Reports & Valuations. For any number of reasons there may come a time when an expert witness report is required to assist you. Insurance claims, compulsory acquisitions or court cases may all require an expert witness report to assist you with lost production, future production potentials, or property and equipment valuations. Expert witness reports are made for the court to the “Expert Witness Code of Conduct (Uniform Civil Procedure Rules 2005 – Schedule 7)” and everything stated needs to be explained and supported with documentation. Reports need to be water tight and can be contested in court, consequently everything needs to be substantiated. Note: Additional costs apply if court appearances are required. Business Plans and Framework Development Plans. For any business to be successful you need a business or framework development plan. An aquaculture business or framework plan is a substantial documented that sets out your business goals and objectives, it predicts all construction and setup cost, looks at your target markets and together with economic models gives financial forecasts of what you are aiming to achieve over a certain period of time. It is essential to prepare a business plan when starting or expanding your business; you can review it regularly and keep it up to date allowing you to see where you are heading, what’s been achieved and what needs to be done to meet your targets for financial success. Business or framework plans establishes a vision for the development, identifying the overarching goals and the specific objectives. It provides the guidance and objectives towards the long-term vision and goals for the future development of an aquaculture farm. It provides a possible timeline and preliminary budgets and potential returns for the future aquaculture development. These plans and projections are critical if bank finance is involved and will help with receiving aquaculture development approvals from Fisheries and Council, etc. 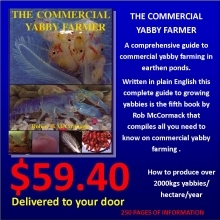 Commercial Yabby Farm Tours. 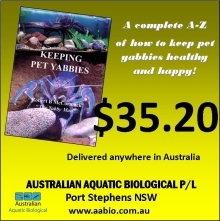 For those in the industry and those thinking of entering the industry it can very advantageous to visit a commercial yabby farm and see exactly how it all works. 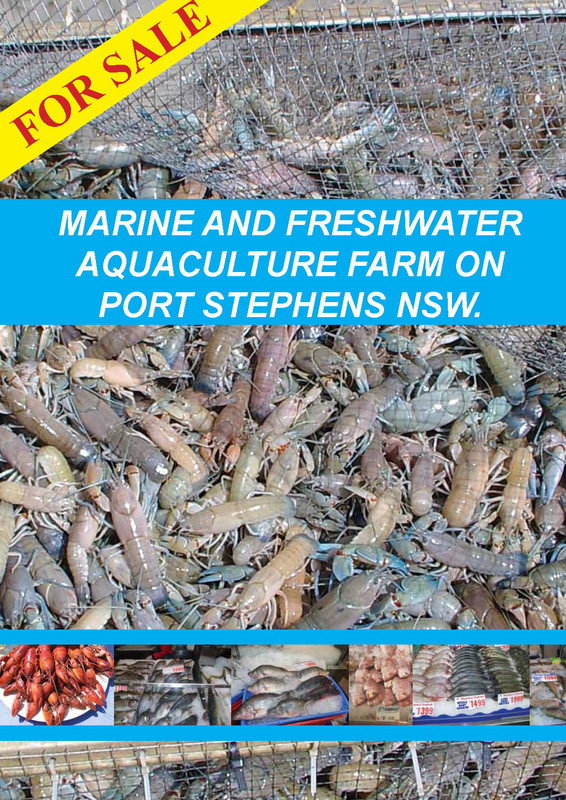 We do provide tours of a semi intensive commercial yabby farm at Port Stephens NSW. Consultancy tours, where we answer all your questions and show you everything cost $100/hour, however, in as little as 2 hours you can get all your questions answered. See how earthen ponds are constructed and the critical points for construction. 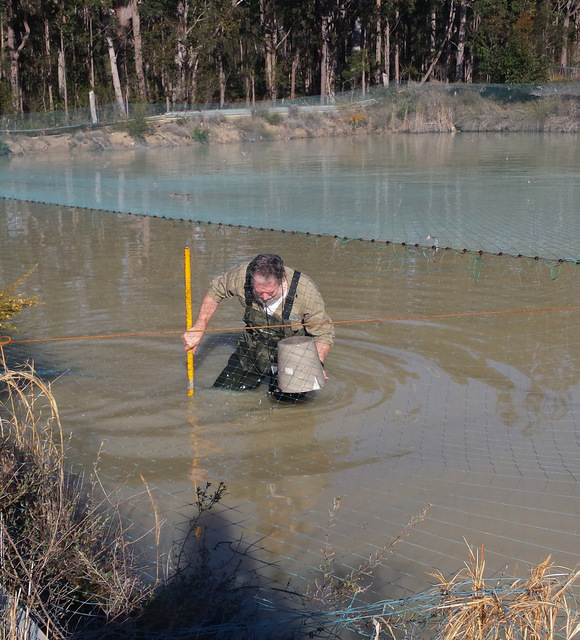 These are commercial yabby ponds-NOT farm dams, they are constructed to farm crayfish under ideal conditions-Not collect and store water. 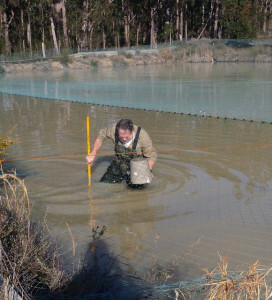 See how ponds are perimeter fenced, bird netted, feed, drained and maintained. See how crayfish are captured, transported, stored, purged and packaged, etc. If you would like to take a tour, please contact us. Basin View Aquaponic Gardens. 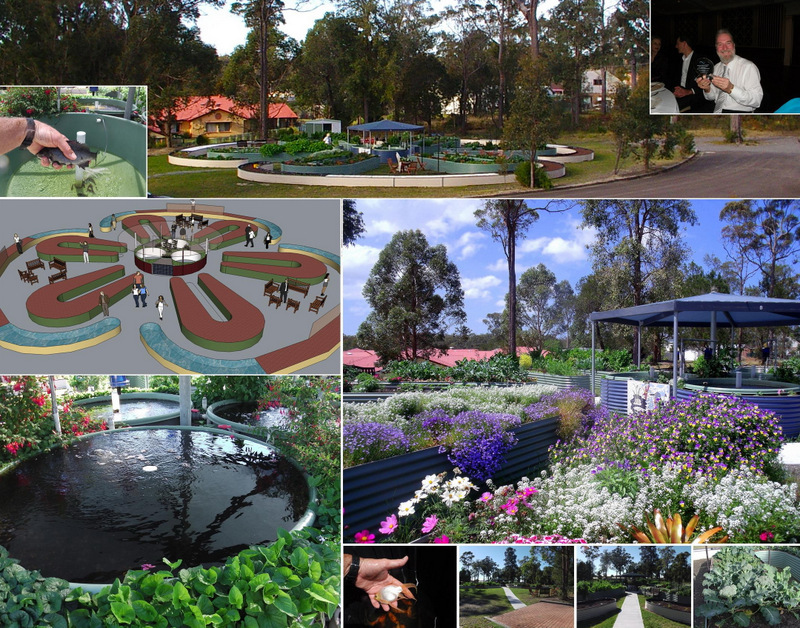 An international award winning aquaponic garden built for the Royal Freemasons’ Benevolent Institution at their Basin View, NSW, Masonic Village. 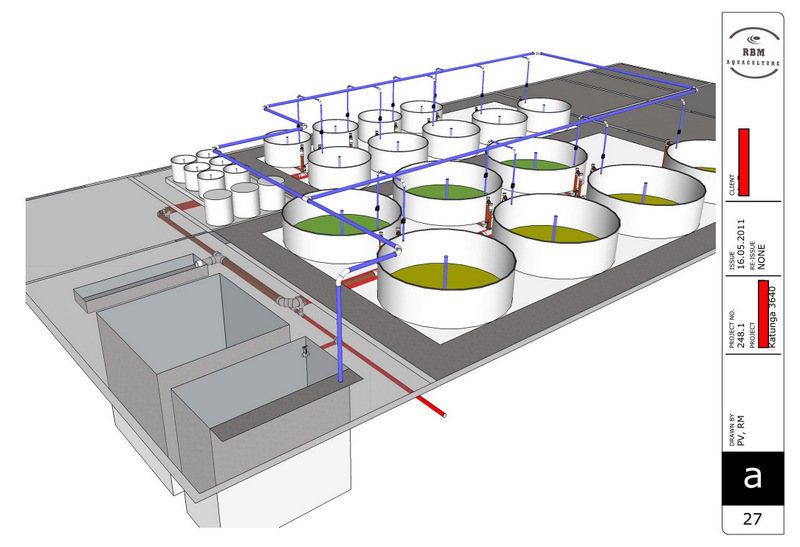 Barramundi recirculating aquaculture system (RAS) design. 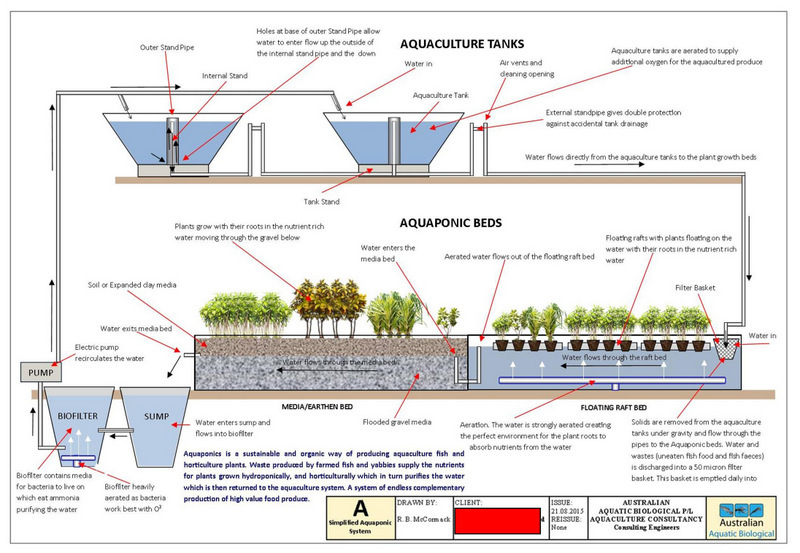 Aquaponic system design, both commercial and residential designs and construction. 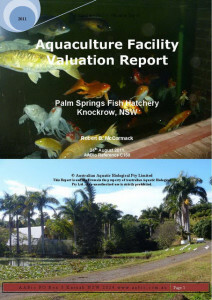 Aquaculture property sales. 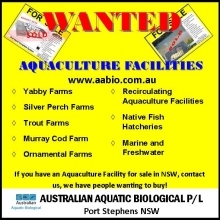 If you have an aquaculture farm for sale, contact us, through our industry networks we have a number of clients seeking properties currently with aquaculture permits. For a small fee we can assist with the sale of your property. 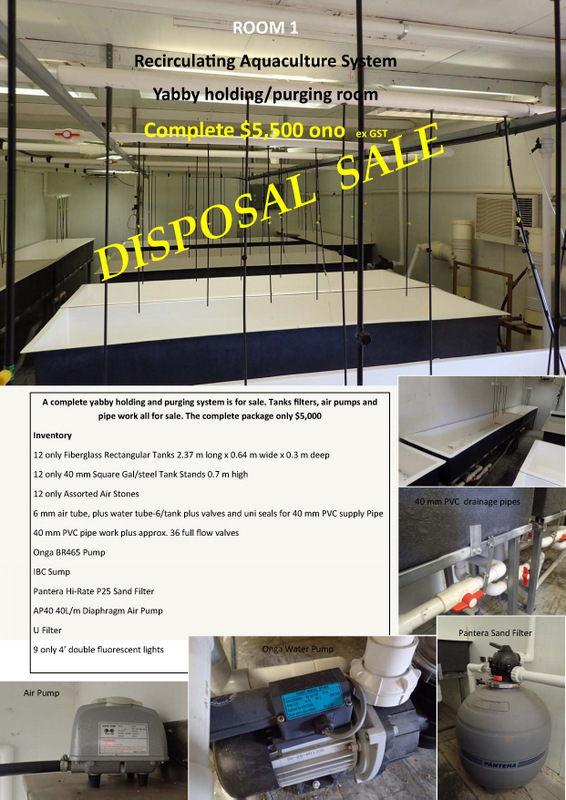 Aquaculture equipment sale. If you have second hand equipment for sale, contact us, through our industry networks we have a large number of clients seeking second hand aquaculture equipment and for a small fee can assist you with your sale.